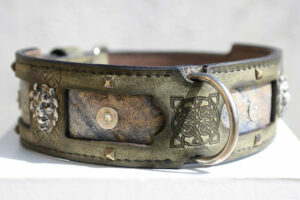 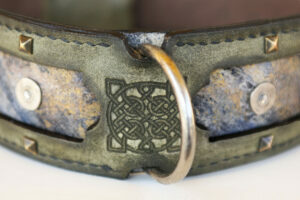 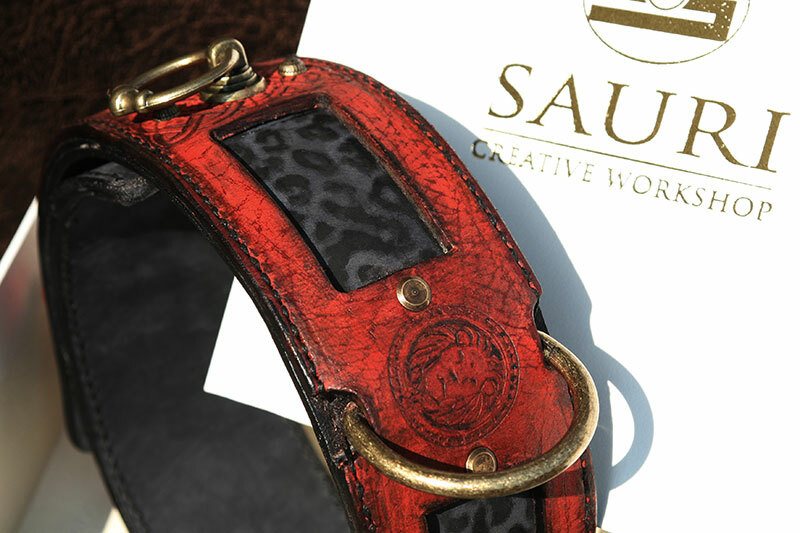 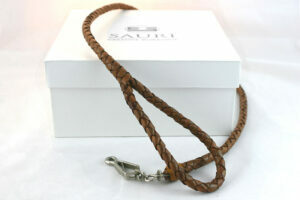 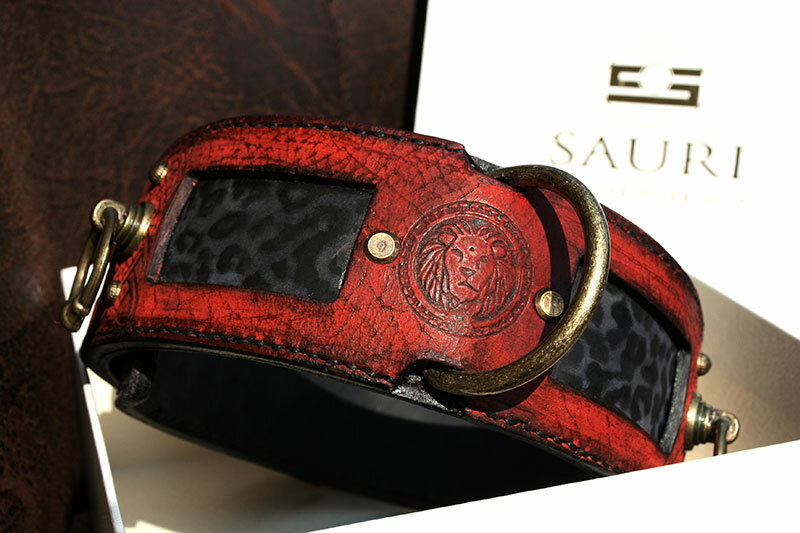 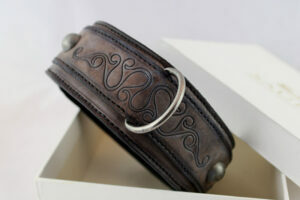 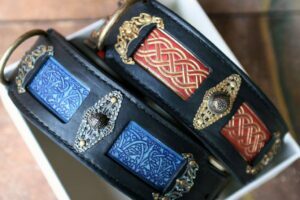 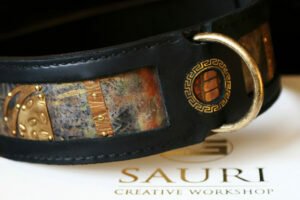 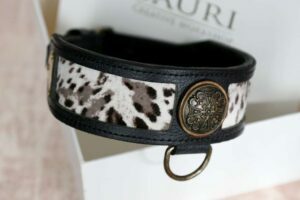 SKU: UC013 Category: Leather Dog Collars Tags: Dog walking, Fancy leather, Handprinted, Uniquely designed Brand: Workshop Sauri | Leather dog collars. 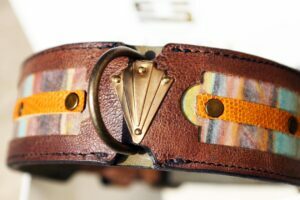 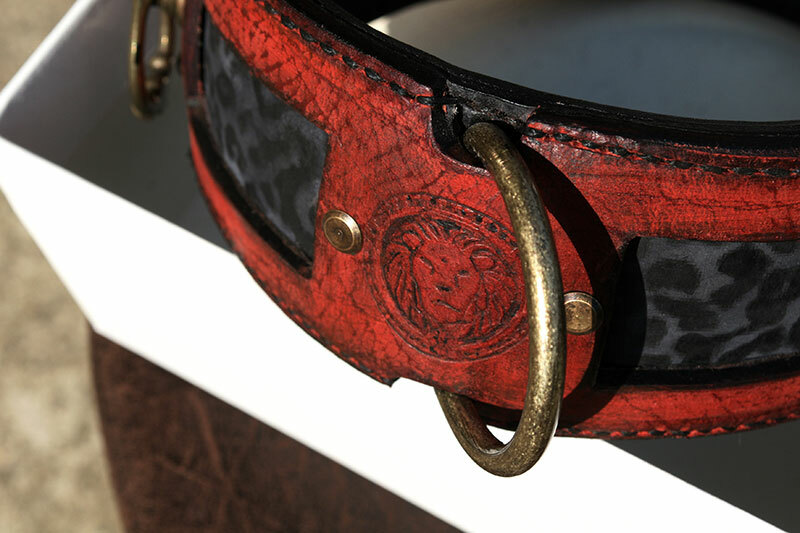 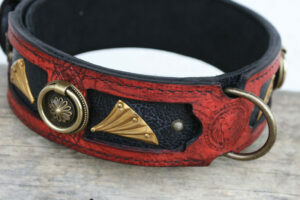 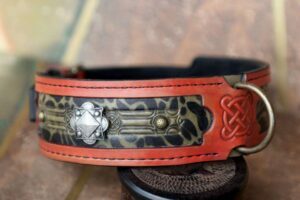 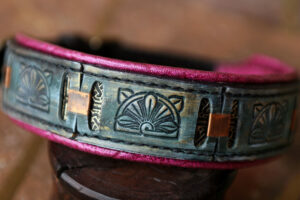 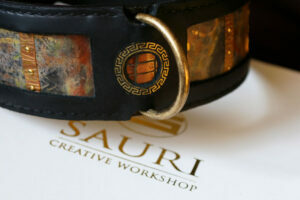 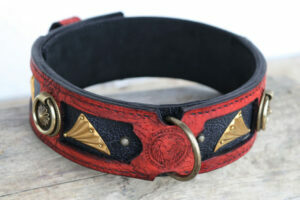 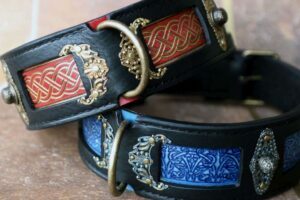 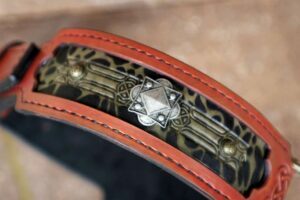 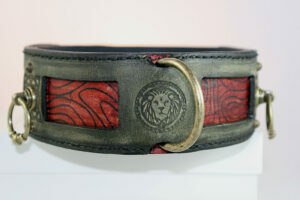 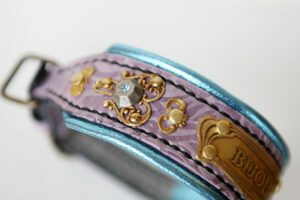 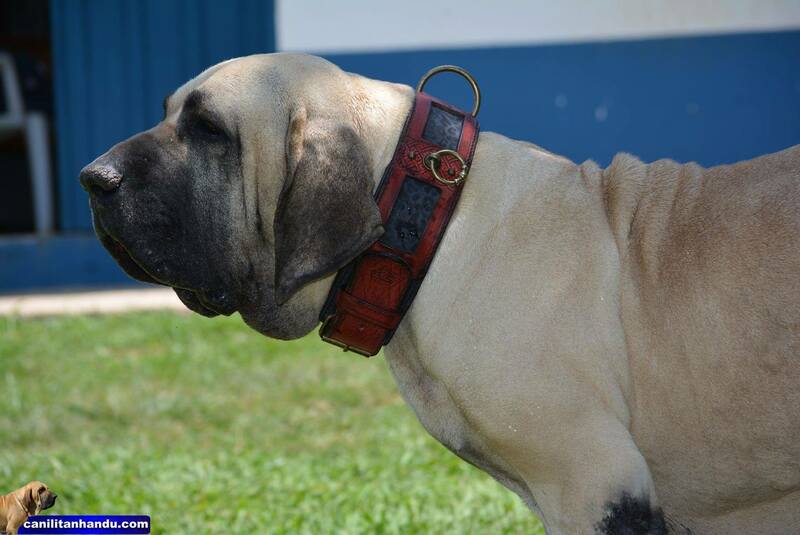 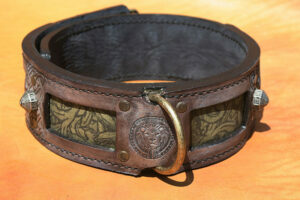 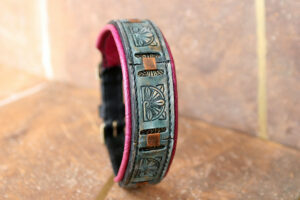 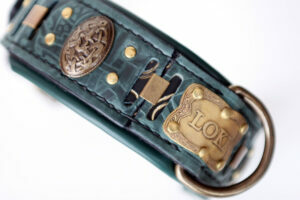 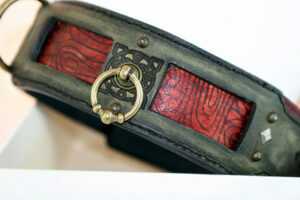 Antique Red Leather Dog Collar with Blue Leopard Handprint and antique brass patina ornaments. 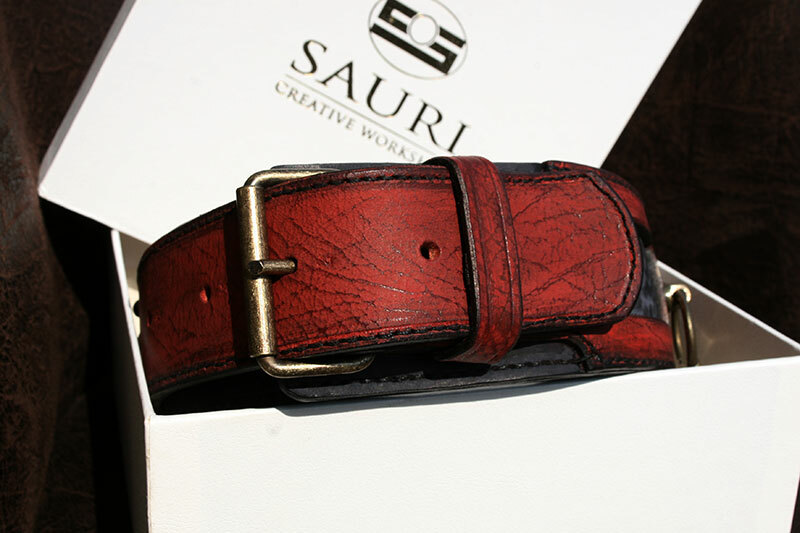 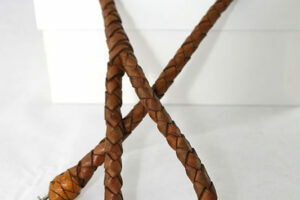 Hand stitched in 3 leather layers, each 4mm thick full grain leather. 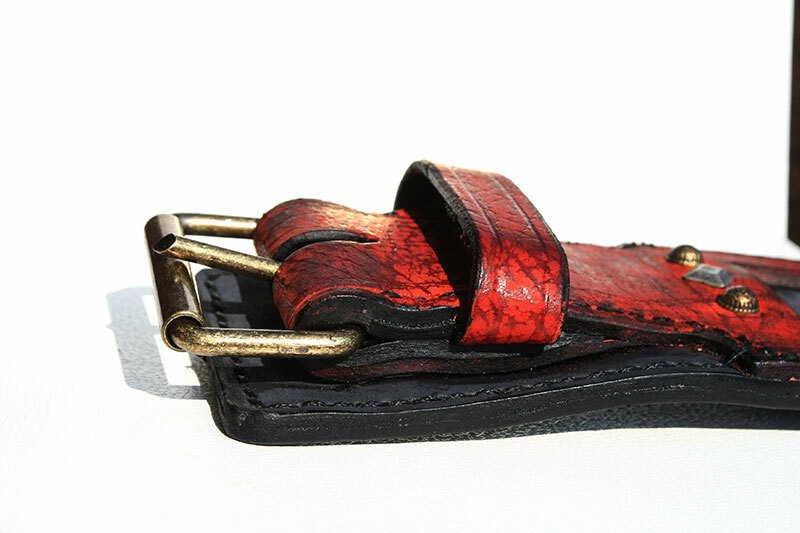 Durable wear, resistant to cracking and stretching. 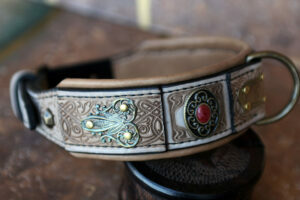 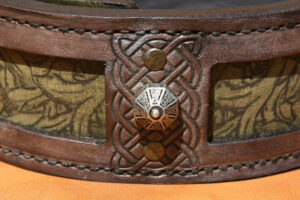 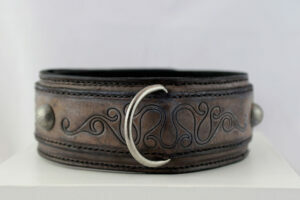 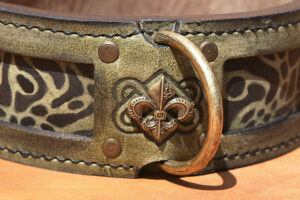 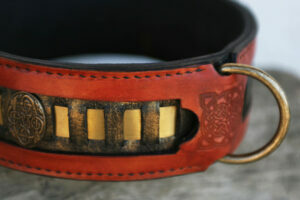 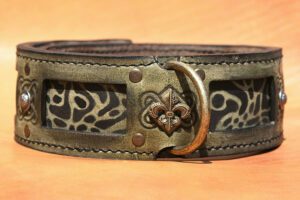 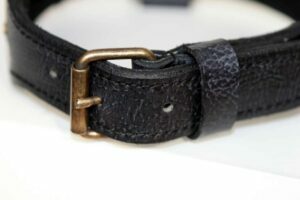 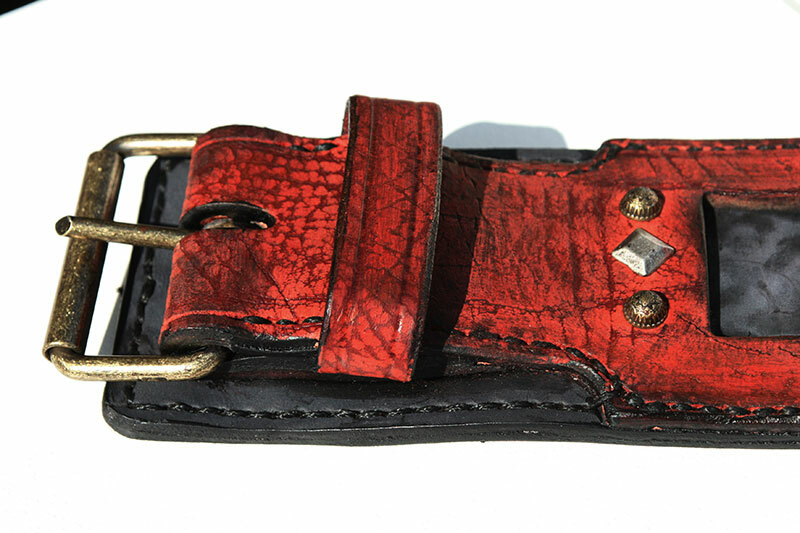 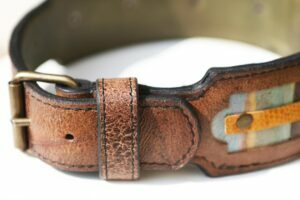 Where the largest exposure to pressure (buckle, D-ring) – the collar is strengthened with the fourth layer of leather.